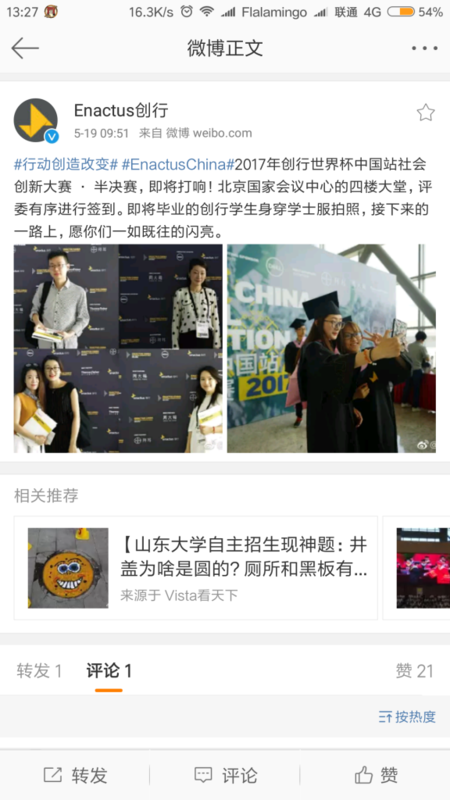 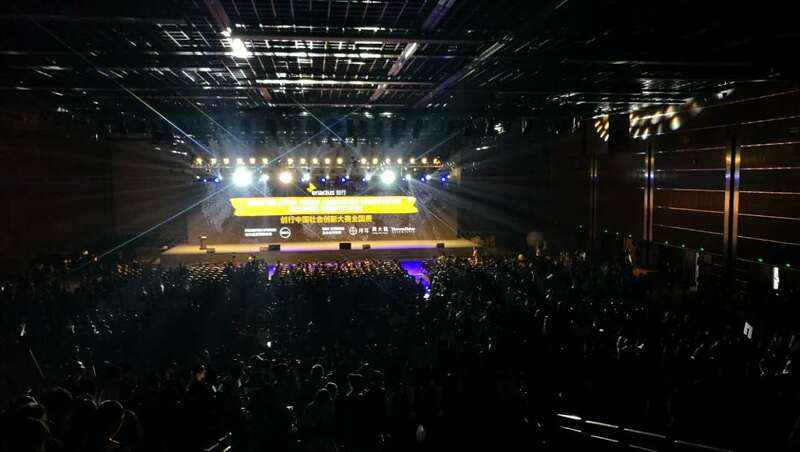 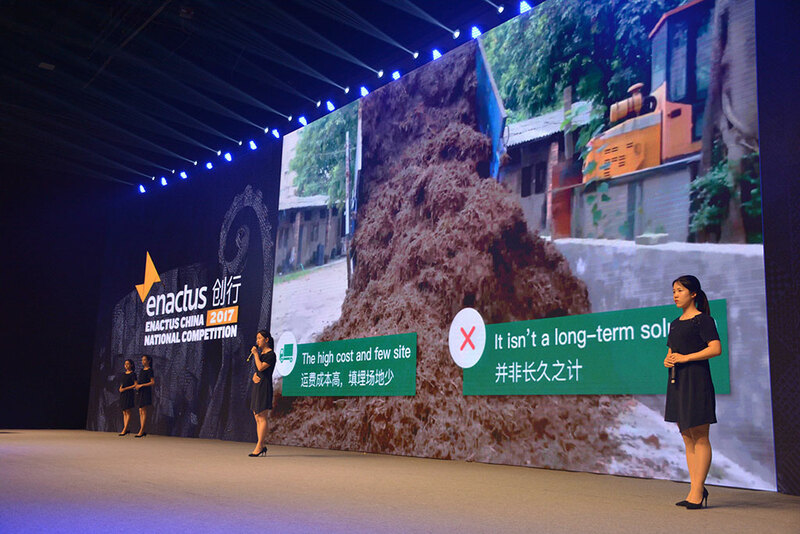 On 18 and 19 May, nearly 2,200 Enactus China supporters met at the China National Convention Center in Beijing to showcase the impact teams across the country are having through their social innovation projects. 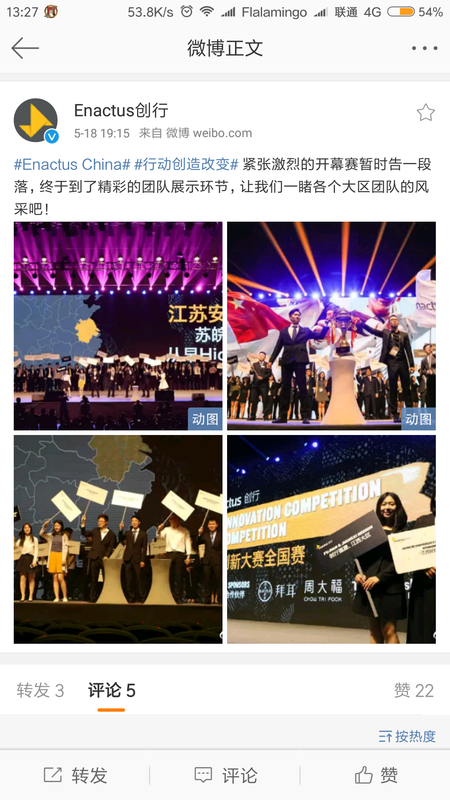 The national competition was a huge part of the event, culminating after a series of regional competitions with 94 teams presenting on this national stage. 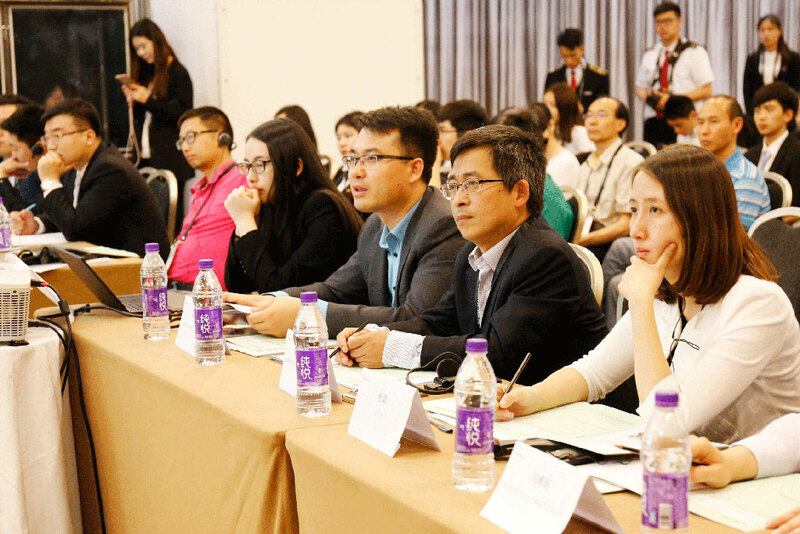 The competition took place over three rounds, with over 225 executives evaluating the presentations. 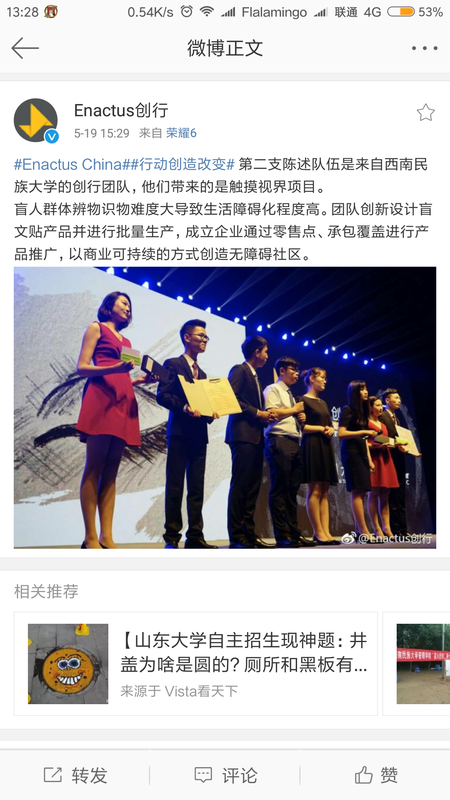 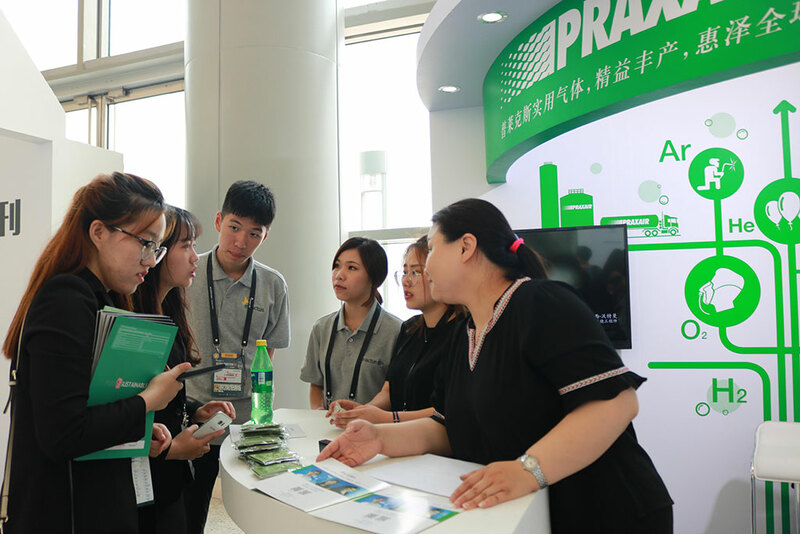 In the end, four teams took to the main stage to share their work with all delegates, and the final round judges had the difficult task of selecting one national champion: the team from Guangdong Pharmaceutical University. 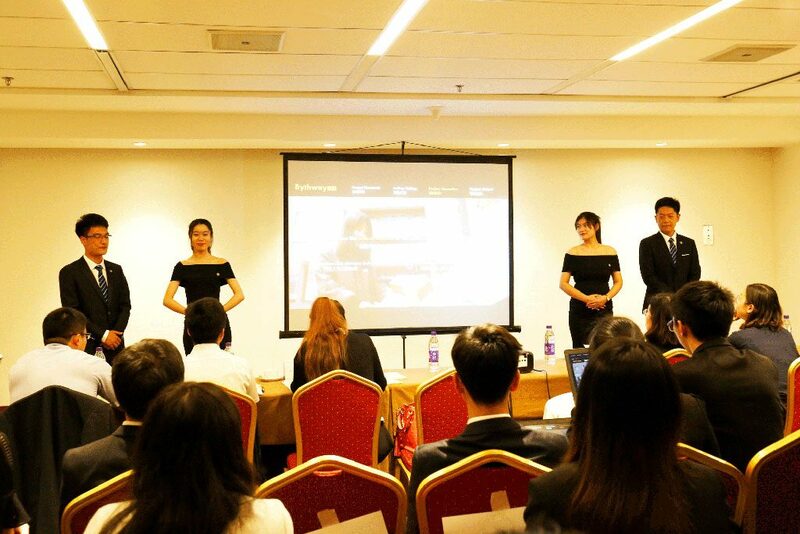 Judges were impressed with the team’s Treasure Land project, which uses a Chinese herb residue technology to turn mushroom waste into organic fertilizer. 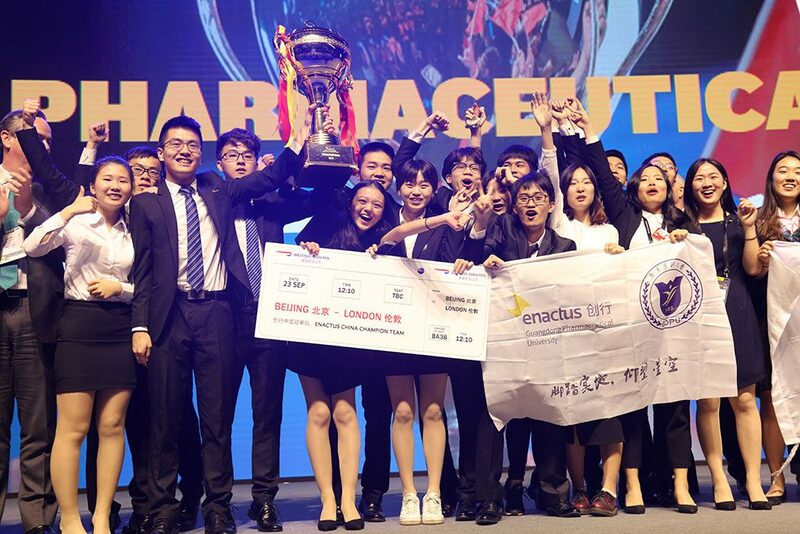 The national champion team will now prepare to represent China at the Enactus World Cup in London in September, where they will compete with teams from 35 other Enactus countries. 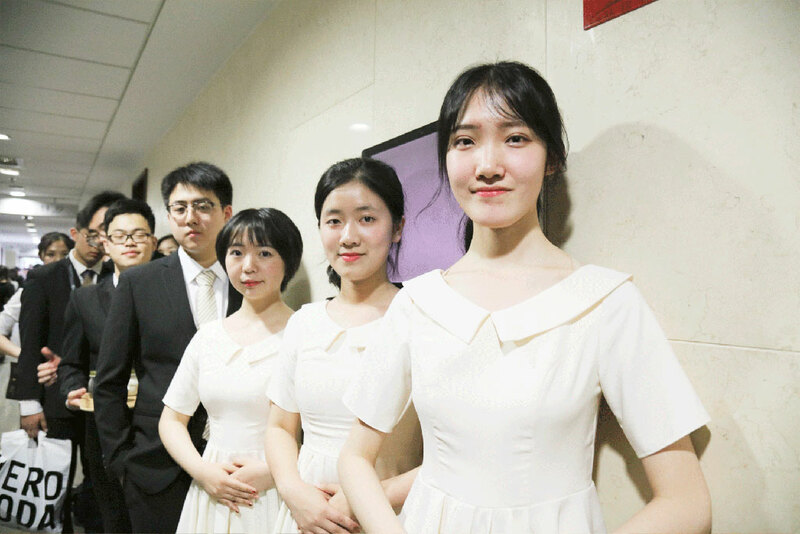 The U.K. 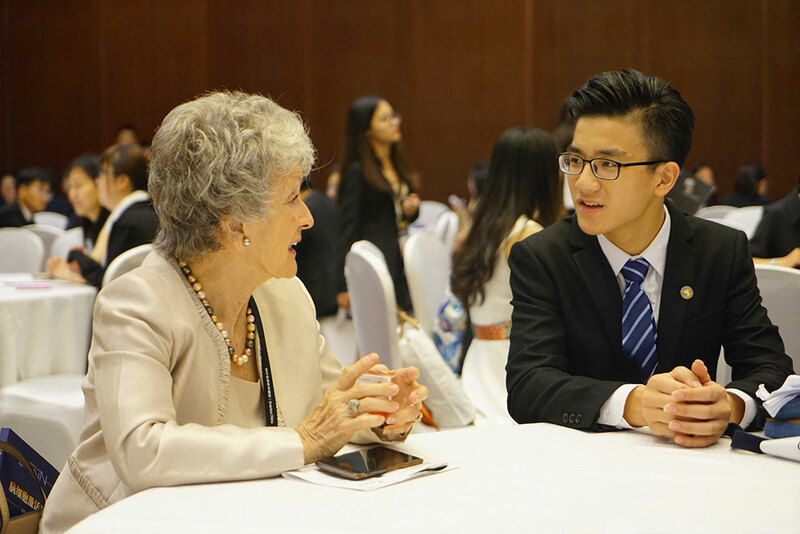 Ambassador, Dame Barbara Woodward was on hand to wish the winning team luck on the road to London. 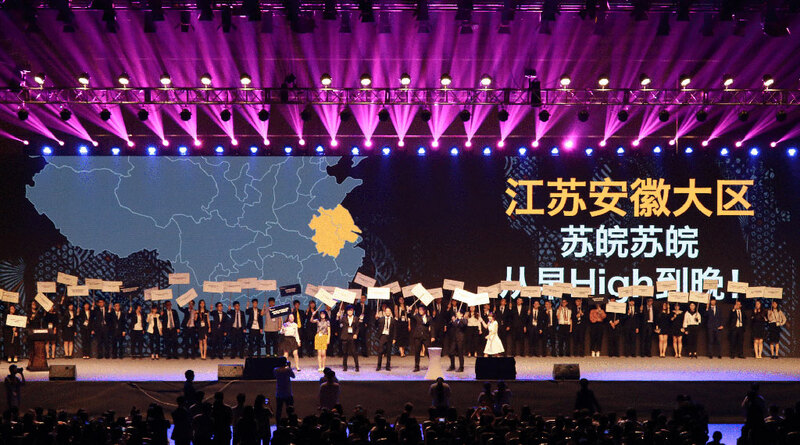 But this event was so much more than a competition – it was a true celebration of the power of entrepreneurial action and of the students who have the courage to use it to make a positive impact. 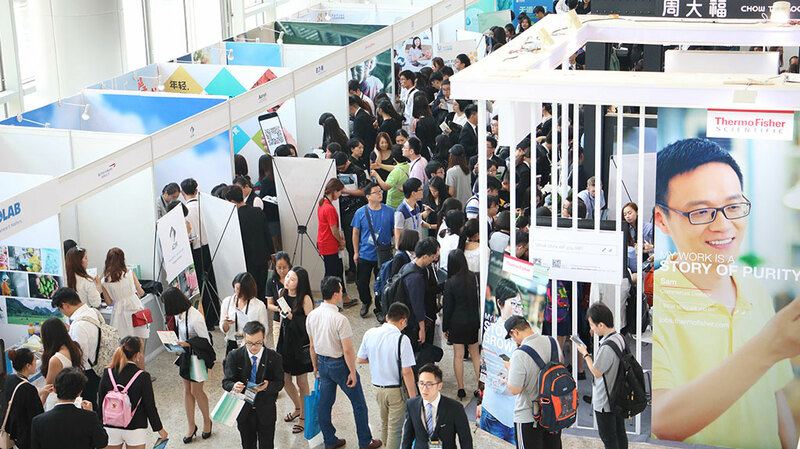 As a bridge between the academic and corporate worlds, the event featured a career fair and a University Innovation, Entrepreneurship and Career Development Forum, which gave attendees the chance to discuss compelling topics while making new connections. 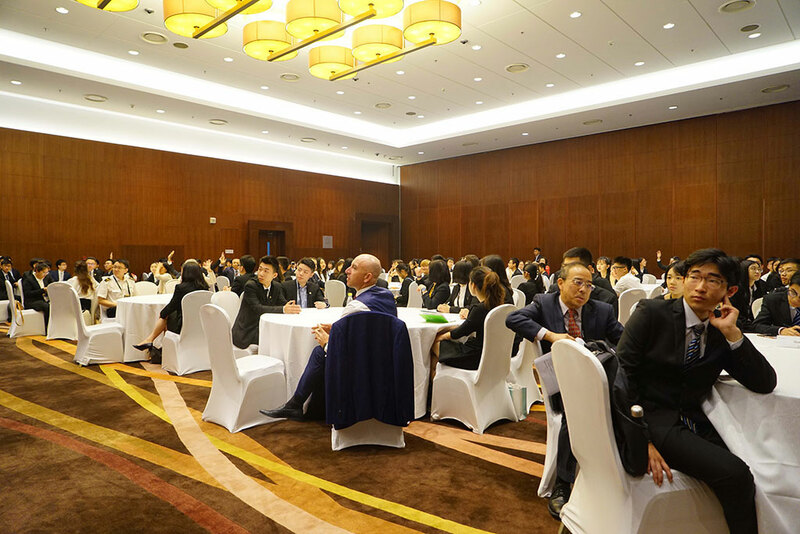 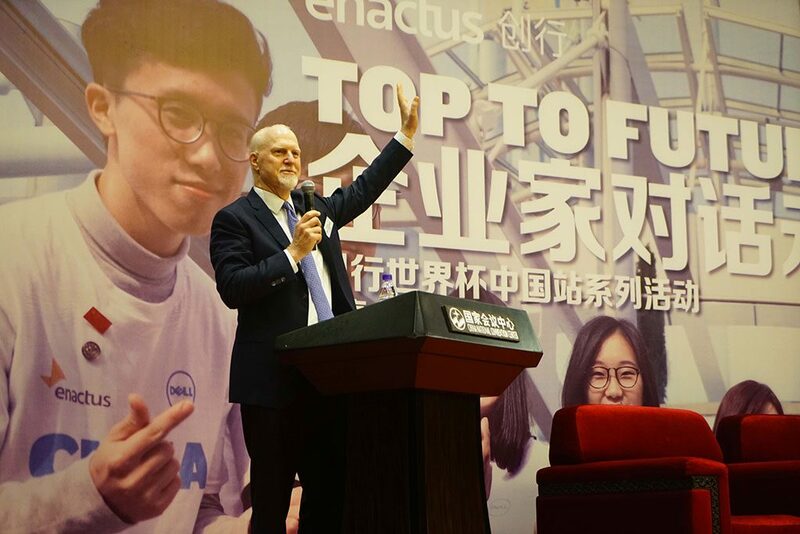 There was also a Top to Future-Top Forum, which brought students and executives together to explore entrepreneurship, including a keynote address by Zhou Bing, Government Affairs Vice President of Dell China. 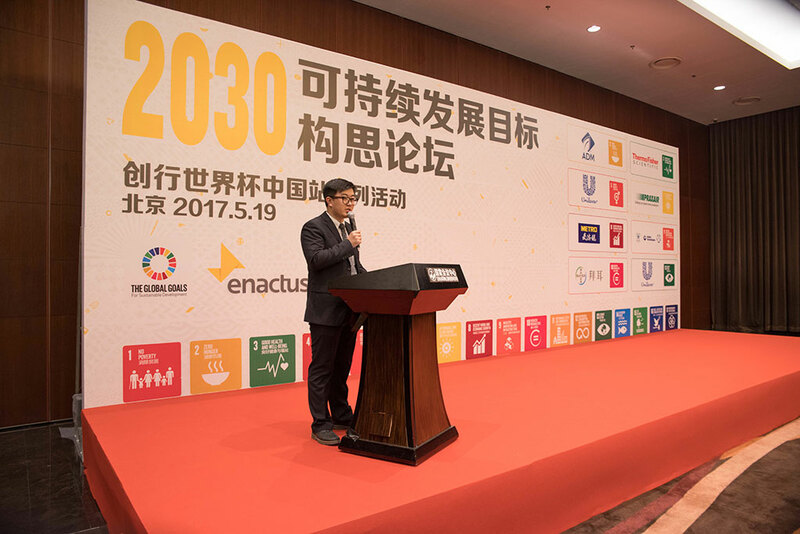 There was also the 2030 SDG Youth Ideation Forum, which built off the success of a similar event held at last year’s Enactus World Cup in Toronto. 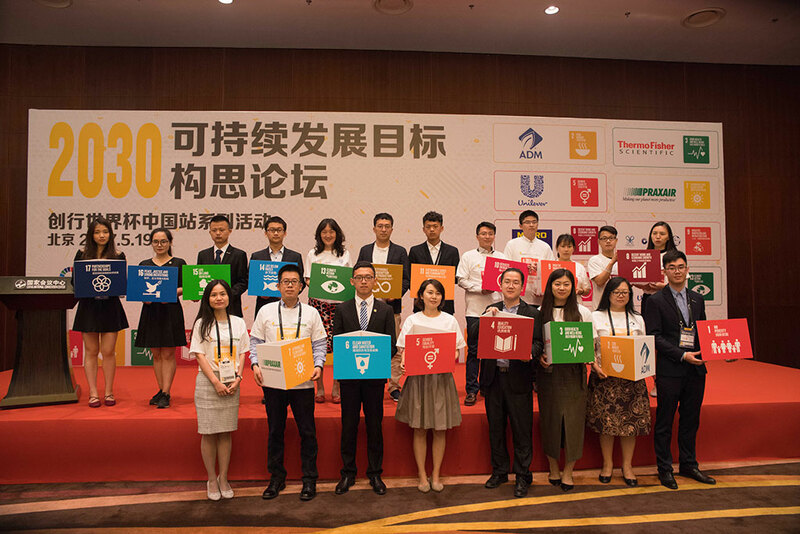 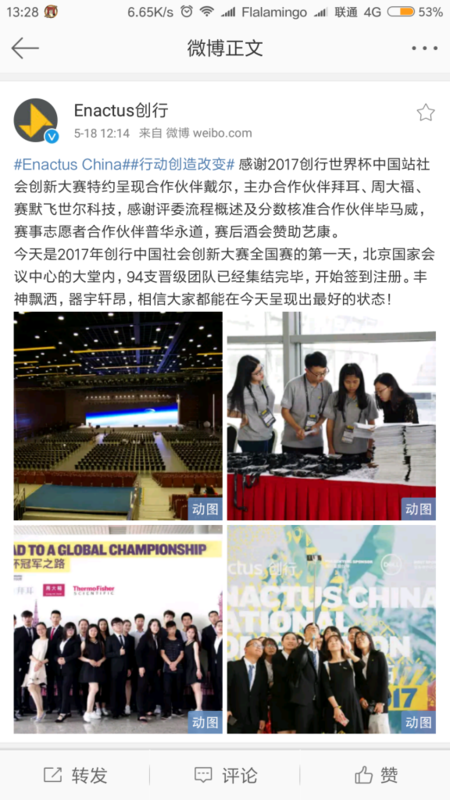 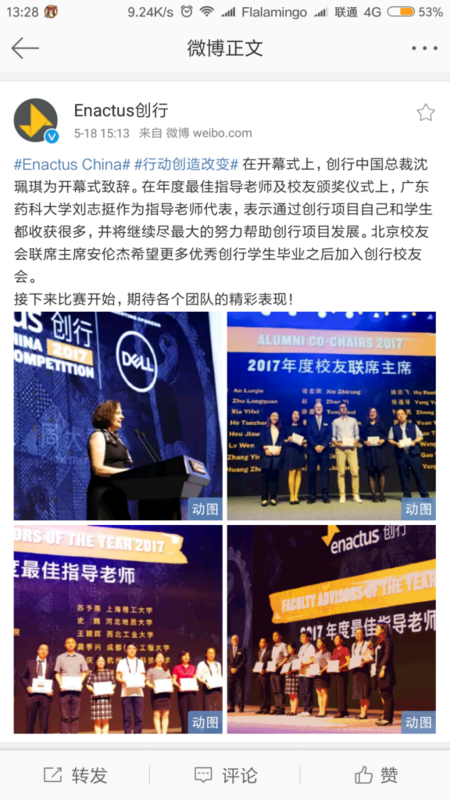 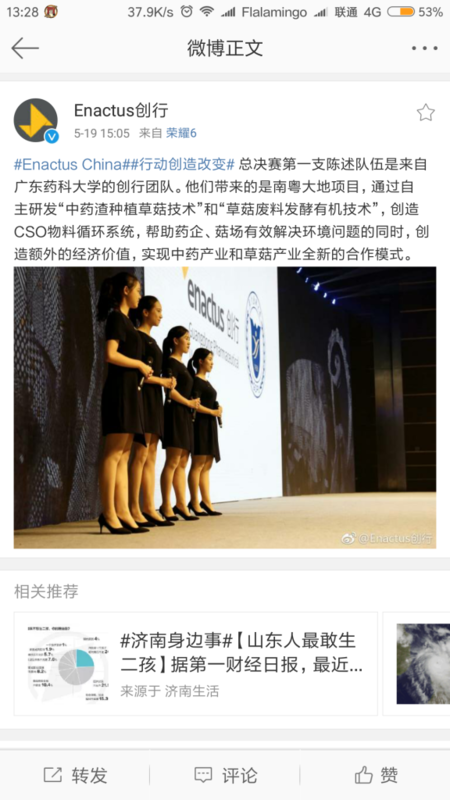 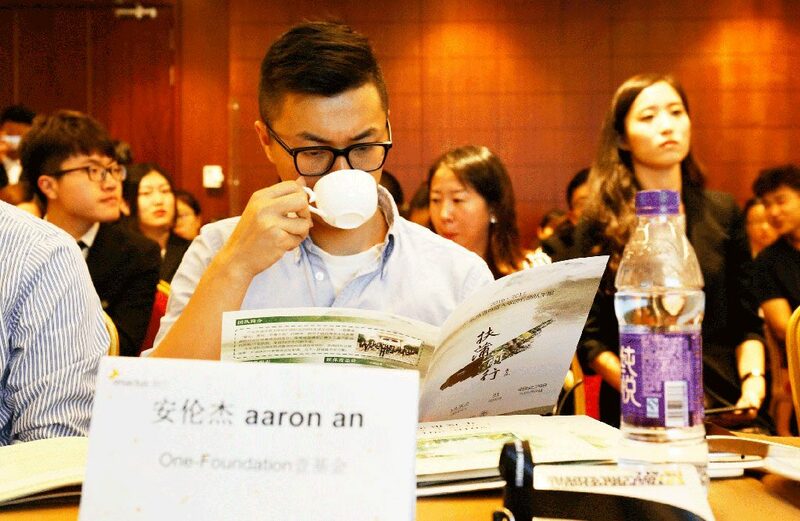 At this event in Beijing, Enactus students represented each of the 17 Global Goals: after an informative and inspiring opening address from Kate Taylor, Senior Industry Partnership Officer from the UNOPS China Operation Center, students and executives from companies such as Bayer, Thermo Fisher Scientific, ADM, United Technologies, Praxair, Metro and Unilever shared best practices and discussed specific actions that could be taken to address their table’s SDG. 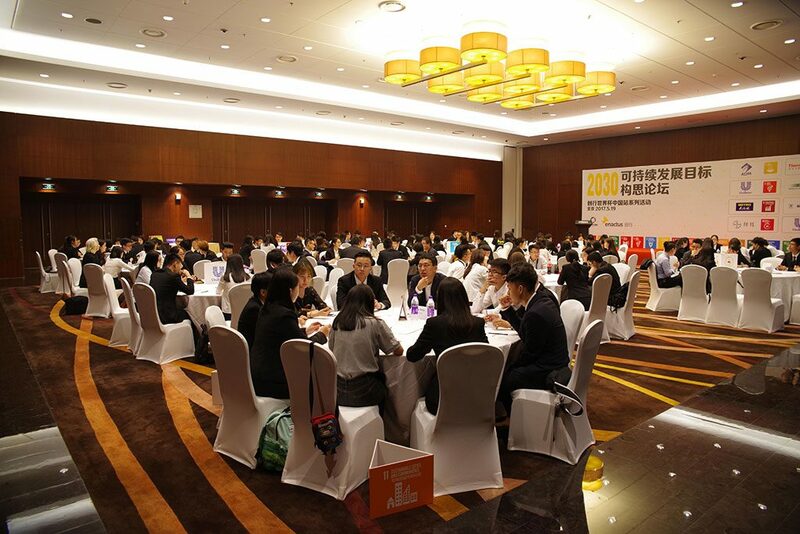 At the end, the student representing each Global Goal stood and shared their table discussions with the overall group. 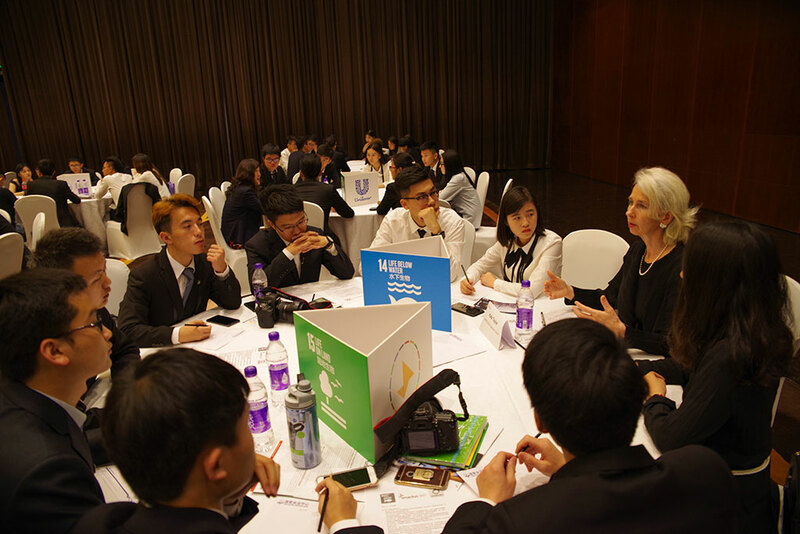 For example, at the Clean Energy (SDG #6) table, students and executives explored solar-powered water heaters and other energy-saving products, and how this could be developed into a social enterprise initiatives by an Enactus team. 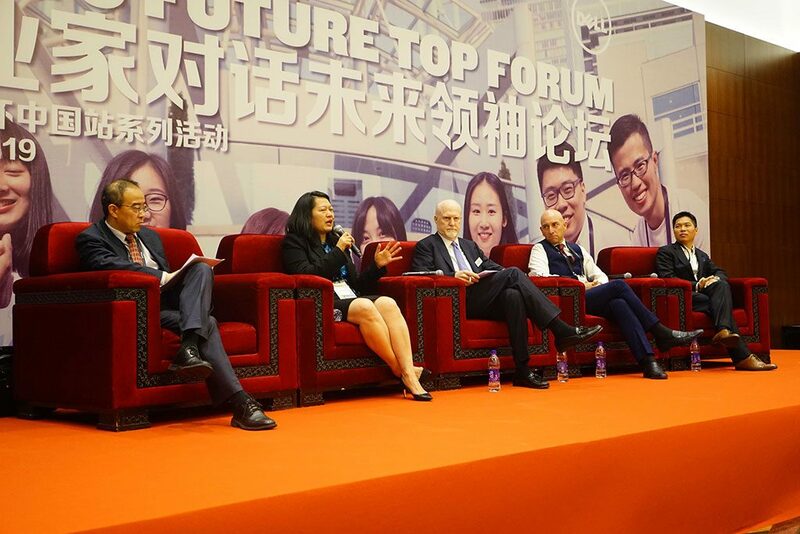 Check out this great article the UN shared about the forum. 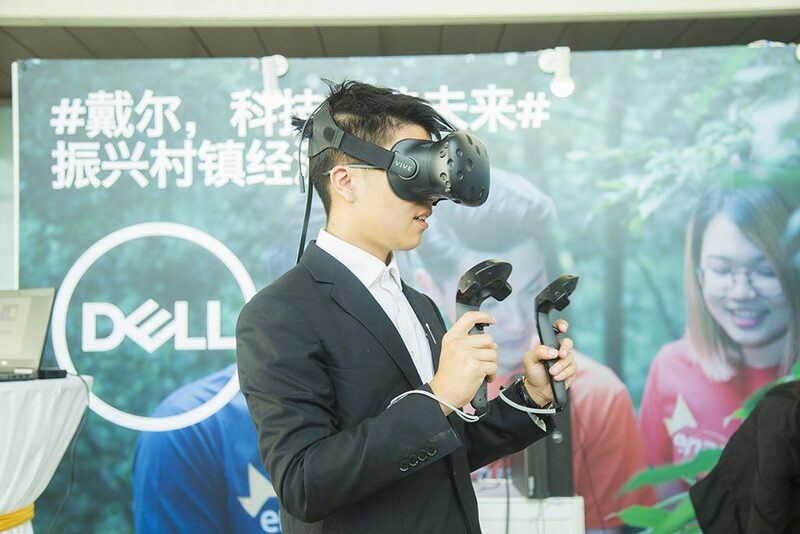 An impressive list of companies sponsored the event, including Dell as the Presenting Sponsor and Bayer, Chow Tai Fook and Thermo Fisher as Host Sponsors. 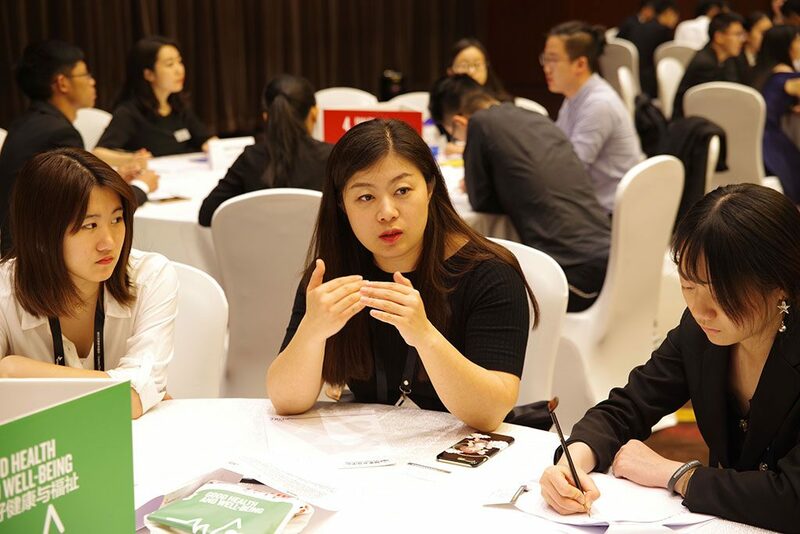 KPMG served as the sponsor of the Judge Orientation & Scoring Verification, while Ecolab sponsored the Cocktail Reception and PwC served as League Management Volunteer Partner.